Less than 11 months after the closing of ‘Television Production Tour at Walt Disney Television Studios’, Stitch Live will “go live” in late March and be officially launched alongside The Twilight Zone Tower in early April 2008, marking the start of the resort’s “15th Anniversary Continues” year. The opening schedule was made available to cast members last Wednesday and shared by member Devil on Disney Central Plaza forum. From mid-January to March 2008 (6 weeks) — training and rehearsals for performers. Opened, on-air and entertaining guests, the attraction will be officially inaugurated with the press and VIPs during the launch events of Tower of Terror, currently scheduled for the weekend of 4th to 6th April 2008. Of course, all these dates are only as currently scheduled and may be subject to change between now and March. End disclaimer. 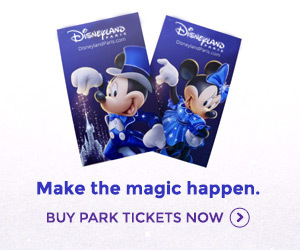 If a bunch of opening schedule dates “live” from Paris aren’t exciting enough, take a look at this link originally posted by moderator Scrooge of Disney Magic Interactive forum, providing an extended look inside the Hong Kong version of the attraction and the magic of this truly unique show. In just over 4 months’ time, Stitch’s exclusive debut of “living character” in Europe will no doubt be a sensation with audiences. Inside, on-board and backstage the Paris Tower of Terror …in video!